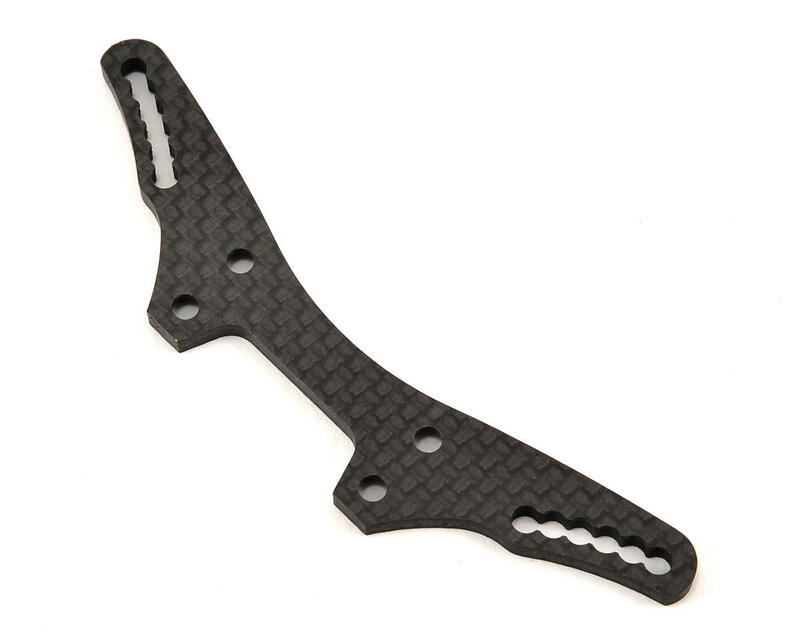 This is a Serpent Carbon Fiber "Low" Front Shock Tower. This "low" type shock tower allows the shocks to be mounted lower, helping to lower the overall CG of the car, and also allows the use of a 3rd body post. This is a direct replacement for the S411 2.0 Eryx. 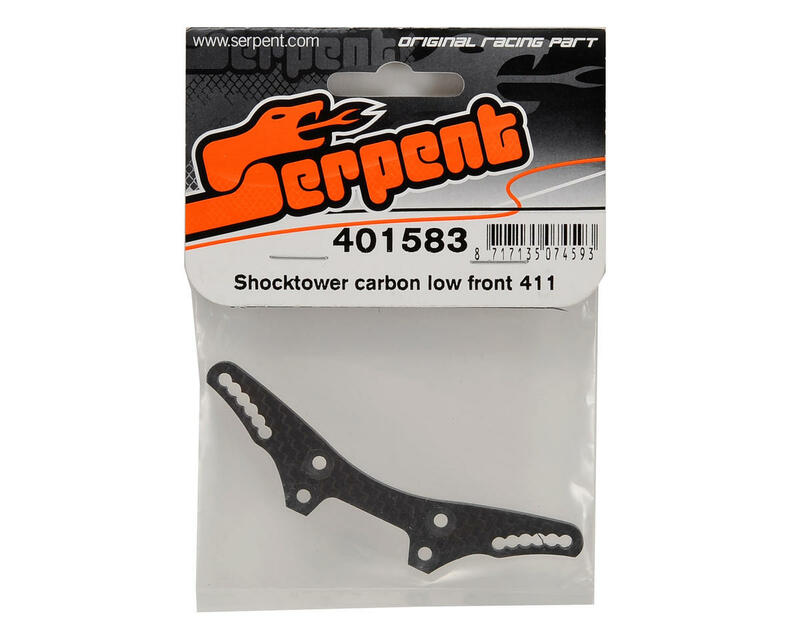 Additionally, this shock tower is a required upgrade for previous S411 models if upgrading to RCM-SS shocks.